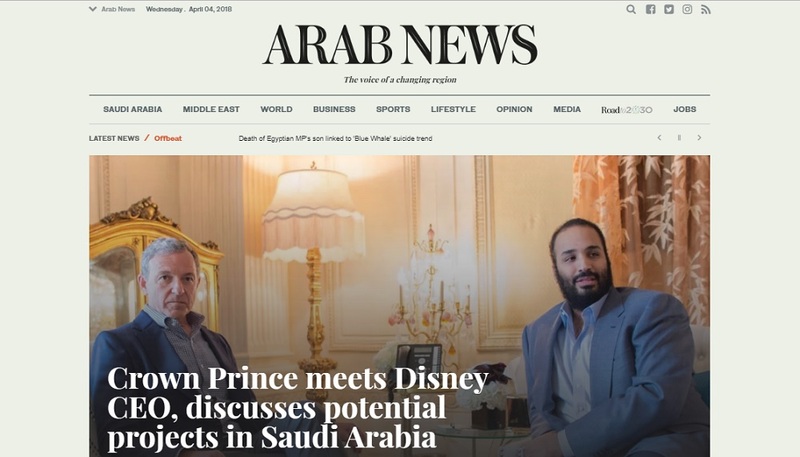 Saudi Arabia’s leading English daily Arab News has finally received a much needed redesign after being stuck with a user interface that used to make it look like a website from the 90s. The redesign is part of an overall revamp (relaunch) of the brand with a new logo (nameplate) . We had a quick look at the website and it looks pretty decent, way better than the previous version. It seems that the designers have taken some inspiration from Western publications like The Wall Street Journal and Financial Times to build the user interface, which is a good thing as websites of those outlets offer great user experience. “All large, successful companies understand the need to keep changing to remain relevant. This is why today we are announcing not only a facelift, but a vision — a masterplan we call Arab News 2020. My mandate upon assuming the editorship of this newspaper in September 2016 was to make it “more global, more digital.” Thus, part of our 2020 vision is to become the No. 1 digital source for regional news and views,” he added. With the new design, Arab News would easily make the list of best designed news platforms of the region. Clutter-free design, easy-to-navigate, great mobile experience; and brilliantly done homepage; it seems to tick all those boxes. According to SimilarWeb, Arab News receives about 5 million visitors every month. The two other leading English news publications, AlArabiya (English) and Saudi Gazetter receive 2.5 million and 1.5 million respectively.